UI should be appealing and UX should be engaging, Period. Do you wonder why visitors don’t spend much time on your website/app? Our UI/UX design for multiple devices are designed keeping the end user in mind that are truly viewable and usable across different screens. We make sure that on all devices users can complete their task with ease and efficiency, and their experience is in sync to their expectation from that device. Our diligent attention to detail and love for design enables us to create clean, concise and easy UX/UI design. 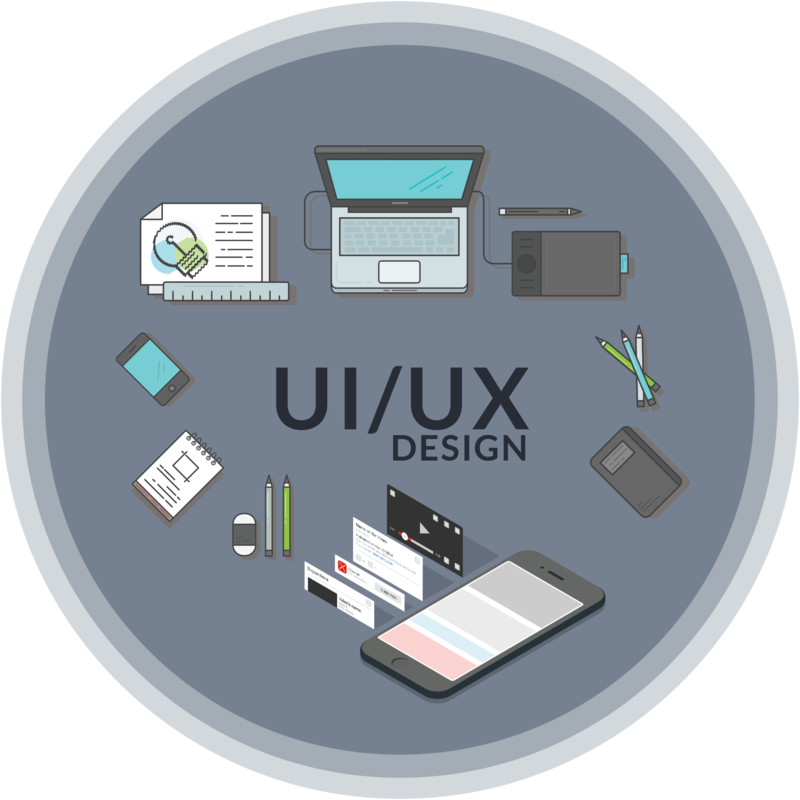 Our UI/UX designers have a keen eye for design and good aesthetic sense, programming skill coupled with good communication skills. They are comfortable designing for different devices and are expert in typography, layouts, color, artistry, user psychology. Our UI/UX design services includes sketches, wire framing, storyboarding and project planning so that development can be fast within budget. Testing is done at each stage of the user experience design process, this mean testing after thumbnail, sketches, wireframes, and high fidelity mock-up. We test our apps through an in-depth quality assurance process, work out any potential bugs, kinks or issues to ensure that our original behaviour related to design standards have been maintained. Advantages of UI and UX design. Appropriate UI and UX design patterns used in development make development fast and easy. UI and UX design across all devices provide more value to the customers. Smart widget design and icons, graphic designs, application UI and themes. Our team of UI/UX designers work to create something unique that will provide an unforgettable experience for the end user. They carefully educate themselves with every facet of the new technology before practicing it.